Idanre Hill is one of the most beautiful natural landscapes in Nigeria. 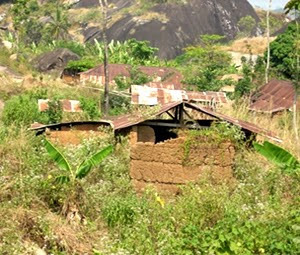 Added to Idanre Hill beauty, which fires human curiosity is the fact that the entire people of Idanre lived on these boulders for almost a millennium. 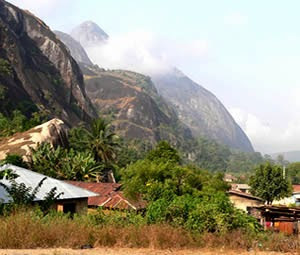 Located in Idanre Town, about 24 kilometres southwest of Akure, Ondo State capital, the ancient Idanre Hills had been a home for the Idanre community for almost 100 years. 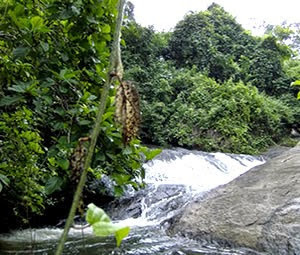 As a natural and cultural landscape, Idanre Hills stands out well among all other places that have been listed in UNESCO World Heritage Sites. It is a cluster of intimidating and imposing hills housing some wonderful things which confound the senses. The hills surround the town, envelope it and dominate life in the town. From any angle, one sees the hills and virtually every activity revolves round this collection of hills. Apart from that cultural role, the town pulls the wealthy and the commoner, basically due to its perceived mystical aura and the giddy excitement lovers of nature get when they surmount the steep, daunting climb to the top, to witness a spectacular view of the new town and adjoining hills in a breath-taking manner. The flora and fauna of the place had been under scientific study for several decades. The topography of the place will be of great value to mankind. Its physical attributes include Owa’s Palace, Shrines, Old Court, Belfry, Agbooogun foot print etc. The ancient palace which has an intimidating courtyard where the Oba used to hold court is located on top of the hill where the old settlement used to be. The palace houses some historical monuments about the establishment of Idanre town. The guides are available to tell visitors rom interesting ancient histories about the community. 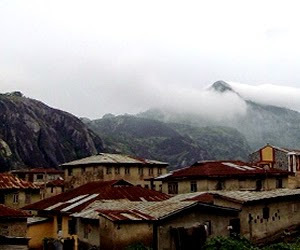 Idanre Hill is a cluster of intimidating and imposing hills that surrounds the town of Idanre. The hills house some wonderful things which confound the senses. It contains very important bio-physical and landform features whose interaction with the physical features created an enduring cultural landscape. The panoramic view of the town from atop the Aghagha Hill is a view that takes one’s breath away. Aghagha Hill emits smoke throughout the year and the Arun river is said to derive its source from the hot confines of the hill. It offers a beautiful scenery for nature lovers. 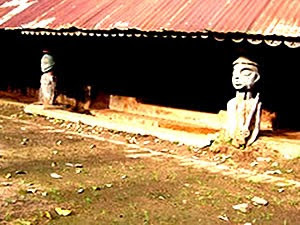 The famous Orosun festival is one of the major factors for Idanre’s consideration for upgrading to the status of a UNESCO World Heritage Site. Also, there is an annual Mare Festival (“MARE” meaning “don’t fall”) – an international mountain climbing festival, which celebrates the land, the people and its rich culture. Arun River is a mysterious river in a serene corner of the hill. It’s said that the river derive its source from the hot confines of Aghagha Hill. The water is so clear, clean and even drinkable. One can even see the stones and plants inside it. People come here to pray and fetch the water for spiritual cleansing. Those who venture mid-stream claim that they experience dizziness and the presence of a supernatural being, an eerie feeling which makes the head swell. The experience is definitely not for the lily-livered. Idanre old town is a deserted ancient town on top of the hill where abandoned buildings including the palace and courtyard of the Oba can be found. The old town also has a shrine of the High Chiefs and residential quarters of many inhabitants.